Hyderabad March 19 (Maxim News): The Congress party demanded that AIMIM President Asaduddin Owaisi explain his sources of income which boosted his assets by more than three times in the last five years. 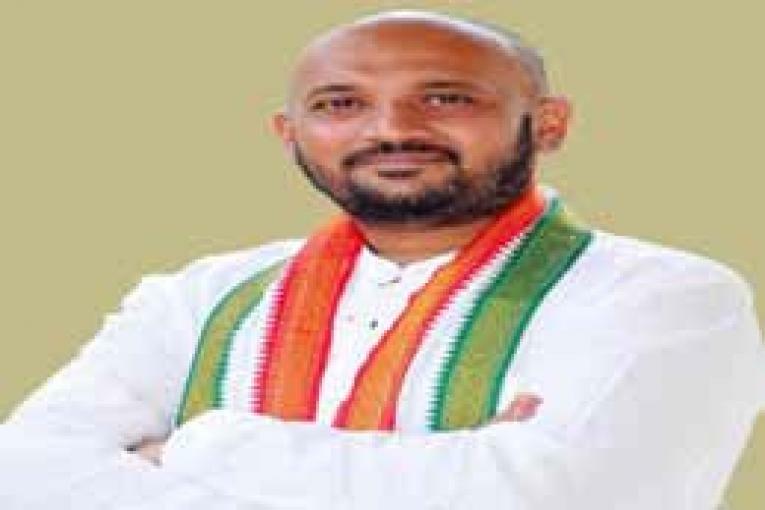 Hyderabad City Congress Committee (HCCC) Minorities Department Chairman Waliullah Sameer, in a media statement on Tuesday, expressed wonder at rise in Owaisi’s assets under BJP regime at the Centre from 2014-19 when all other minorities faced discrimination and economic slowdown. “Asaduddin Owaisi had disclosed assets of Rs. 4.06 crore in his affidavit filed in 2014 elections. Is it not strange that his assets have grown by more than thrice in the last 4-5 years?” he asked. Asaduddin Owaisi had declared that he possess Movable Assets worth Rs. 1.67 Crore and Immovable Assets of Rs. 15.75 Crore for himself and his spouse, who is a housewife. “The house owned by Asaduddin Owaisi in Shastripuram is certainly under-valued and the cost of construction, which he has mentioned in the affidavit, is misleading. Everyone in Hyderabad knows that Owaisi’s Shastripuram residence is a palace which he has constructed by spending hundreds of crores,” Sameer said. The Congress leader said that although Asaduddin Owaisi is not a businessman, as per the profession he mentioned in his affidavit, his assets have increased by manifold since 2004. He said that the MIM President had declared assets of just Rs. 39 lakh in 2004. They increased to Rs. 93 lakh in 2009 and then to Rs. 4 crore in 2014. This time, Owaisi had declared individual assets of over Rs. 13 crore. “Owaisi’s financial growth is faster than the country’s economy. He must share his success formula with people of Hyderabad who are still poor with most of them being unable to earn their daily bread and butter,” he said. However, he alleged that the MIM president was misleading the election authorities and people on his assets and income. “The total income shown in IT Returns filed by Owaisi for 2017-18 is Rs. 10,01,080. Although Owaisi’s income remained more or less same since 2013-14, his assets have increased by more than three times in five years. He owes an explanation to the people on his sources of income,” he said. The Congress leader also alleged that the Hyderabad MP had spent crores of rupees on the lavish marriage of his daughter. “The amount Asaduddin Owaisi had spent on his daughter’s marriage is much more than the assets which he had declared officially. He should also explain how he has spent crores of rupees on the marriage when his total income shown in IT returns is just Rs. 10 lakh,” he demanded. Sameer said it was strange that the MIM President does not own a car. “Almost every luxury car available in the market is seen parked at his residence. He also moves around in different cars every month. If Owaisi doesn’t own those cars, then he should explain who is providing him those luxury cars at free of cost,” he said.